The site of Kafr Samir is located to the south of the city of Haifa, about 1.5 km from the Mediterranean coast and at the foot of Mount Carmel. It covers an area of approximately 62 a. Kafr Samir had previously been identified with Castra of the Samaritans (Castra Samaritanorum) of the Byzantine period, mentioned by Antoninus of Piacenza (Itinerarium—c. 520 ce) and rabbinical sources referring to its hostility to the Jewish city of Haifa (Lam. Rab. 1:17, 52—c. 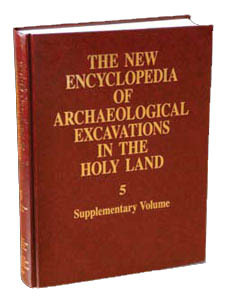 400 CE; Lev. Rab. 23:5—fifth century CE? ; Canticle Rab. 2:2, 5—seventh–eighth century ce), solely on the basis of the modern toponymy (Samir = Samaritan). However, extensive archaeological excavations at the site have uncovered a purely Christian site dating to the Byzantine period, thus the most likely identification seems to be Porphyreon of the South, which Antoninus of Piacenza located near Castra. The memory of Porphyreon reached the Crusader period (Jacques de Virtry; Guillaume de Tyr). It was perhaps the see of a bishop located along the southern border of the land of Tyre. The Samaritan city of Castra, in addition to its antagonism toward the Jewish city of Haifa, attacked the komopolis (village-city) of Porphyreon on several occasions, notably in 572 CE. The incidents are attested to in several Byzantine and later sources, for example, Symeon Stylite the Younger, of the sixth century CE. Excavations indicate that the site was damaged by an earthquake (in 551 CE?) and abandoned at the end of the seventh or beginning of the eighth century CE.